When I first visited Ho Chi Minh City (formerly known as Saigon) with my parents back in 1996, I was mesmerized. Decades of French rule ending in the mid 1950s and a massive presence of American military during the 60s and early 70s have combined to create a city steeped in history. In 1996, the streets were jammed with thousands of people heading to various destinations via bicycle, with the occasional motorcycle ridden by the Vietnamese elite. The only signs of Western influence were the few French-era buildings and hotels that were mostly in need of renovations and a paint-job. Wow, how things have changed! 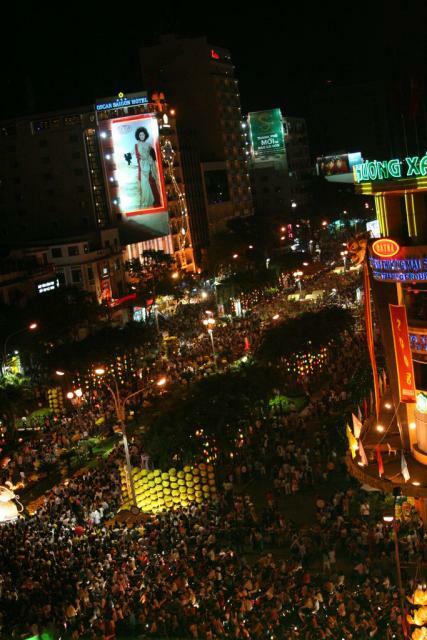 In the past 12 years, the economy of Vietnam has skyrocketed. 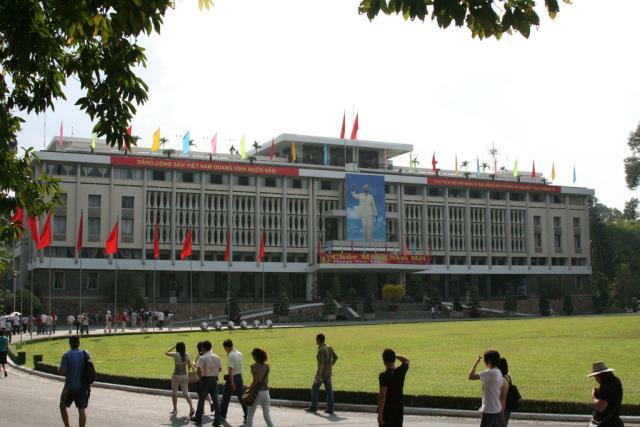 With investments flowing in from around the world (including the United States), the Vietnamese have been able to increase their standards of living exponentially. 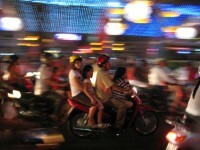 Bicycles have been replaced by countless motorcycles, and the Vietnamese elite now drive European sedans. On almost every corner, there is a French bistro, sushi restaurant, boutique hotel or jazz club. The city is virtually unrecognizable from a little over a decade ago. 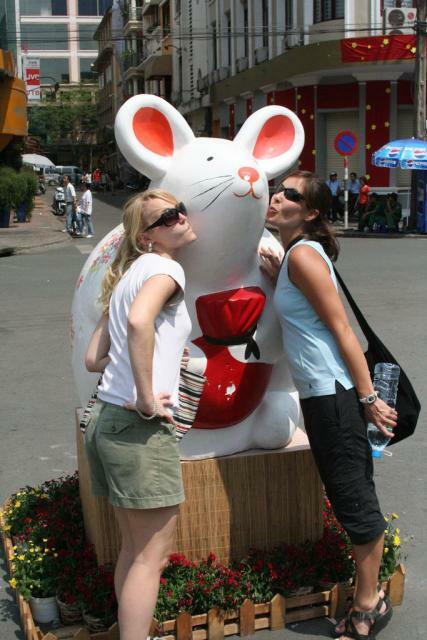 Our time in Ho Chi Minh City coincided with the climax of Tet, the Vietnamese New Year (for all of you rat-lovers, you’ll be happy to know that this year is the Year of the Rat). Our guidebooks had warned us that the city shuts down during the holiday as families spend time together in their homes; the streets would be deserted. Lies! The roads (and sidewalks…) were filled with motorcycles, typically carrying 3 or 4 passengers1, and Vietnamese families packed the streets much like New Yorkers pack Times Square on New Year’s Eve. At many times, it was difficult to even move. You could feel the excitement of a people who know their country is in good times and only headed for better. The city is renown for its many pagodas, or temples. Little did we know that it is a tradition to visit the pagodas during Tet. As we arrived at a nearby pagoda, we were overwhelmed with the throngs of Vietnamese who had come to show respect to their ancestors. Inside the pagoda, there are small plaques with the name and picture (and, in some cases, an urn carrying the ashes) of a deceased relative. The visitor waves a few sticks of incense in front of the plaque, bows and, in some cases, leaves an offering of an item that the ancestor enjoyed (e.g., fruit, cookies or even beer). The remainder of our time in the city was spent at the other main sites including the Presidential Palace, where the President of South Vietnam resided prior to the end of the Vietnam War, and the War Remnants Museum, a museum displaying some fairly brutal and grotesque pictures from the Vietnam War, with captions that were only a bit more objective than the ones we had seen at the DMZ. Given its vibrant culture, its energy and the many opportunities it offers to experience history firsthand, I can’t help but think that we’re going to Miss…Saigon (pun most definitely intended).